Aussie tax slayer Is Australian foreign aid being used to incite terrorism? According to the Department of Foreign Affairs and Trade website, Australia will contribute $43.8 million to the ‘Palestinian Territories’ in 2017-18. DFAT explains ‘Australia seeks to align its support with the Palestinian Authority’s (PA) objectives’. Well, the PA’s objectives include providing incentive payments to terrorists who injure and kill innocent Israeli civilians. In the event that the terrorist is caught and convicted, there is a sliding scale based on the length of the jail term – the more serious the terror crime, the more money paid. Alternatively, if the terrorist dies during his/her act of terror or is subsequently killed by the Israeli Defense Force, police or by an armed civilian, then there is also a Palestinian Authority Martyrs’ Fund to pay a lifetime benefit to families of dead terrorists. The programs have been labelled as ‘Slay for Pay’ by critics. The PA announced on March 5 that it would increase payments under these programs for terrorism from US$350 million in 2017 to US$403 million in 2018! In 2017 the amount paid by the PA to terrorists and their families equated to about 50 per cent of total foreign aid received. The unit payments are relatively enormous. According Palestinian Media Watch, convicted terrorists in prison can receive 12,000 shekels per month plus bonuses of 300 shekels per wife, 50 shekels per child and extra for being resident in Israel and Jerusalem. This can amount to about US$3,500 per month. By contrast, a teacher employed by the PA receives roughly $615 per month. There have been occasions when captured terrorists questioned by Israeli authorities have confirmed that their primary motive was to gain financial benefits to improve the lives of their families.When challenged, the PA repeatedly refuses to stop the provision of financial incentives for terrorism, calling it welfare. 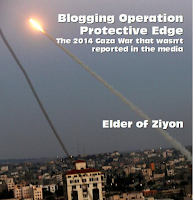 CAMERA Op-Ed: The Palestinian Authority 'Pays to Slay' and the Media is M.I.A. The Palestinian Authority (PA), the U.S.-backed, aid-dependent entity that rules the West Bank, pays salaries to terrorists and their families. Congress is currently considering legislation to prevent American tax dollars from being used for this purpose, which incentivizes Palestinian terrorism. Major media outlets, however, are failing to fully cover either the PA's policy or the possible legislation—called The Taylor Force Act—that seeks to prevent Americans from unwittingly financing terrorism. The Palestinian Authority pays significant sums for what it has chosen to prioritize legislatively and culturally. According to a Jan. 9, 2018 report by Israel's defense ministry, the PA paid terrorists and their families over $347 million dollars in 2017—$160 million for jailed and released prisoners and $190 for their families. 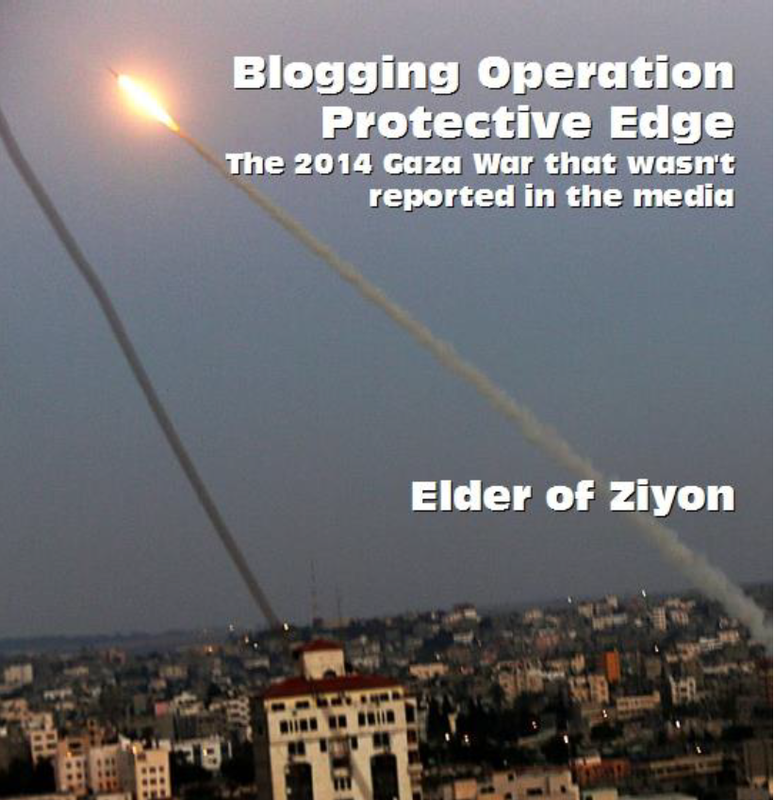 I’m currently in Israel on a press trip organised by Bicom — the Britain Israel Communications and Research Centre. Bicom does a good job of getting experts on the Israeli-Palestinian conflict to give talks to journalists and I’ve attended a few in their London offices. But this is the first time I’ve been on one of their legendary excursions to the Holy Land, which they organise about six times a year. In essence, you’re given a whistle-stop tour of the country while being briefed at every turn by senior ministers and officials on both sides of the divide. It’s seventh heaven for foreign policy nerds, but I also have another reason for being here, which is to weigh up the pros and cons of emigrating to Israel. Believe it or not, my entire family is eligible for citizenship under the Law of Return because Caroline’s father is Jewish. And the idea of moving here is genuinely appealing because I’ve been fanatically pro-Israel since falling in love with the place aged 17. I had just failed all my O-levels and was mooning about feeling like an outcast when my father decided to send me to a kibbutz. It turned out to be the perfect antidote to my adolescent funk. I found everything about Israel, particularly its origins, deeply affecting, and in spite of not being Jewish I felt as if I’d discovered my people at last. 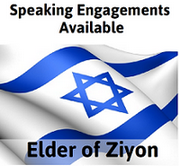 I was inspired by the example of pioneering Zionists like Theodor Herzl to take control of my own destiny. I would return to England, retake my O-levels, go to a sixth form and, God help me, apply to Oxford. And when it all worked out, I felt as if Israel and the wonderful example of its founders had saved me and I swore an oath that I would always defend the country from its detractors. In the 37 years since, I have done my best to keep that promise and been back several times to renew my vows. Many aspects of contemporary Israel make it an attractive place to live. It is a vibrant liberal democracy, the only truly democratic country in the Middle East. It has a first-rate higher education system, low unemployment and a booming economy. Sustained growth in GDP has transformed Tel Aviv into a sophisticated metropolis, with many of the same cultural amenities as London and New York, and the country is well equipped to withstand any major downturn in the global economy, being virtually self-sufficient in food production. On March 17, a rally took place in Glasgow organized by Stand Up to Racism, a group that supposedly protests all forms of racism, including antisemitism, but the hate on the streets of Glasgow on a cold Scottish Saturday was palpable. The march quickly descended into an anti-Israel demonstration though, according to the Herald Scotland, which reported that a far-left direct action group took action to block COFIS from participating, by marching in front of them extremely slowly. The direct action group known as Red Front Republic boasted that it was their balaclava-clad members who blocked the COFIS marchers. Two minutes into another video, demonstrators can be heard chanting: “From the [Jordan] river to the [Mediterranean] sea, Palestine will be free”, a chant that only makes sense as a call for the destruction of the Jewish state and its replacement with a Palestinian state. Under the International Definition of Antisemitism adopted by the UK Government, “Denying the Jewish people their right to self-determination” is antisemitic. The Third Reich is unthinkable without its propaganda. And Nazi propaganda is unthinkable without its films. This is the premise of Hitler’s Hollywood, a new documentary on the German film industry under the Nazi regime between 1933 and 1945, directed by Rüdiger Suchsland. In a political system so obsessed with aesthetics, it’s only natural that films played a significant role in disseminating the Nazi ideology into the minds the German people. Director Rüdiger Suchsland, who was raised watching classics with his grandmother, a proud anti-fascist, realized how the aesthetic character of the Reich went way beyond the infamous human swastikas and choreographed torchlight parades; it involved the creation of a massive film industry that produced about 1,000 movies and embodied the regime’s imagery of supremacy and its rhetoric of hate. The German filmmaker thought that Nazi cinema revealed much about its time and its people, so he decided to make his own documentary about it. Dozens of demonstrators gathered outside the French Consulate in Jerusalem on Friday to protest what they called France's support for "subversive activities against Israel." The demonstration, organized by the Im Tirtzu and Israel Is Forever organizations, was held in response to the indictment of two French Consulate workers who were charged with smuggling dozens of weapons from the Gaza Strip to Judea and Samaria. The demonstrators chanted slogans including "France – Leave the Jewish State Alone" and "Stop Your Diplomatic Terror," and also called on the consulate to stop funding "anti-Israel" Israeli NGOs that "work against Israel and accuse the IDF of war crimes." Over the past several years, the French Consulate has funneled over 750,000 shekels ($215,000) to far-left Israeli NGOs including "Breaking the Silence," "B'Tselem," and "Yesh Din." Until 2015, the French Consulate in Jerusalem employed Elsa Lefront, daughter of a known anti-Semitic activist and husband of Salah Hamouri – an Arab terrorist who is a member of the Popular Front for the Liberation of Palestine and who tried to assassinate Rabbi Ovadia Yosef in 2005. The US online payment service PayPal on Thursday pulled the plug on the account of the French branch of the International Solidarity Movement (ISM) - an organization that Israel has accused of aligning itself with pro-Palestinian terrorists who murdered three civilians in Tel Aviv in 2003 and injured over 50 people. Israeli journalist Jean Patrick Grumberg, a reporter for the French-language American website Dreuz.info, notified PayPal that ISM-France supports the Boycott, Divestment, Sanctions (BDS) campaign against Israel. PayPal has terminated a total of four BDS accounts since 2016 in France due to likely violations of France's anti-discrimination law barring bias against national origin. When The Jerusalem Post attempted to access the donation PayPal section of the ISM-France website, the page stated: "This recipient is currently unable to receive money." Israel's Foreign Ministry said on its website that the 2003 attack at the entrance to the Tel Aviv bar Mike's Place was claimed by Hamas and Fatah's Al Aqsa Martyrs Brigades. According to the ministry, two British "terrorists were careful to establish their presence in Judea and Samaria by forging links with foreign left wing activists and members of the International Solidarity Movement (ISM)." Amnesty International distanced itself from a caricature in a Belgian schoolbook ostensibly meant to illustrate its allegations that Israel is denying Palestinians fair access to water. The illustration in the 2016 geography textbook “Polaris GO!3” for Flemish-speaking high school students depicts a beefy Orthodox Jew lolling in an overflowing bathtub, while a Palestinian woman can barely fill her bucket. 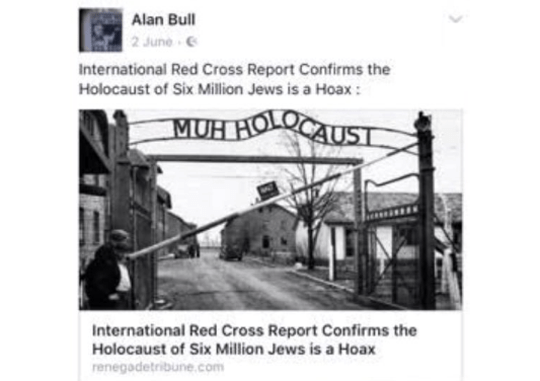 Jeremy Corbyn is a current member of a second antisemitic Facebook group, according to political blog Guido Fawkes, which posted screenshots showing some of the material posted in the group, including a claim that Jews are kidnapping Syrians so that they can harvest their internal organs. The allegation follows the recent news that Mr Corbyn was an active member of another antisemitic Facebook group, claiming that he had not seen antisemitic content and was added to the group by an “acquaintance”, even though he posted comments under antisemitic material and was an intimate friend of Elleanne Green who founded the group. Campaign Against Antisemitism is filing a disciplinary complaint with the Labour Party over the matter. This morning Alan Bull was a Labour council candidate in Peterborough. The Labour Party has suspended a council election candidate who is said to have posted antisemitic material on social media. The party had been criticised for failing to say whether it would act for more than four weeks after details of his posts were first reported. Alan Bull had been expected to be the Labour candidate in a ward on Peterborough City Council when voters go to the polls in May. He was selected last year, but a series of posts questioning the Holocaust and referring to Zionists backing the Nazis have since emerged - some as long ago as last summer - and been circulated online. Another appeared to imply Isis and Israel were working together. Images of Mr Bull’s posts were reportedly circulated by local Labour members concerned about his candidacy. On March 21st the BBC News website produced written and filmed reports about Israel’s acknowledgement of air strikes that destroyed a nuclear reactor in the Deir ez Zor region of Syria over a decade ago. Not for the first time however, the BBC was obviously keen to communicate to audiences that there is room for doubt concerning the nature of the target. A proposal to outlaw circumcision has been introduced by four parties in Iceland’s parliament. While this law might partly target Muslims, it is yet another negative development for Jews in Europe — even if the proposal does not pass. With its less than 350,000 inhabitants, Iceland’s population could perhaps fill a large neighborhood in one of Europe’s major cities. Jewish life in the country is minimal — the number of Jews is perhaps 200 — yet Iceland is a significant destination for Israeli and Jewish tourists. The new Chabad emissary in the capital of Reykjavik will likely cater mainly to them. Looking back in history, it is difficult to find more than one significant occasion where Iceland has played a positive role for Israel or the Jewish people. That positive incident occurred shortly after World War II. A Cincinnati-area man was indicted on a federal hate crimes charge for attacking a man he thought was Jewish. Izmir Koch, 32, beat a man who was smoking a cigarette outside a local restaurant. He was charged Wednesday. US Attorney Benjamin Glassman told reporters that the victim was not actually Jewish, but since Koch beat him because he believed he was Jewish, a federal grand jury indicted him on one count of committing a hate crime. Fliers posted on the Twin Cities campus of the University of Minnesota blamed Jewish politicians for gun control efforts. Headlined “Why Are Jews After Our Guns,” the fliers blamed Jewish politicians for attacks on “our beloved 2nd Amendment,” the Minnesota Star Tribune reported. The fliers listed Sens. Bernie Sanders, I-Vermont, and Chuck Schumer, D-New York, and other prominent Jewish politicians. It also showed images of the yellow stars that Jews were forced to wear in the Nazi concentration camps as well as caricatures of hook-nosed men with long beards. The fliers said they were “brought to you” by the neo-Nazi website The Daily Stormer. The far-right Freedom Party said Friday it has expelled two local councillors for sharing Hitler photos and quotes on WhatsApp, in yet another embarrassment for Austria’s junior coalition partner. Local FPOe official Erwin Schreiner said that they were thrown out of the party and that they had been “keenly urged” to step down as councillors. “In the FPOe there is zero tolerance” for glorifying the Third Reich, Schreiner told the Austria Press Agency. The FPOe was founded by former Nazis in the 1950s but in recent years has sought to clean up its image, with party leader Heinz-Christian Strache saying it rejects all extremism. But since its entry into government in December, the party has been embroiled in a string of incidents that critics say show it remains a hotbed of Nazi sympathizers and racists. Just before midnight on March 18, 1939, Fredi Stiller was awoken by noise coming from the street below. Looking out of the window, the 10-year-old boy saw German soldiers marching into Ostrava’s town square. Ten days later, Stiller left the city in eastern Czechoslovakia on a train bound for England. He was taking the place of an older boy — the son of one of his widowed mother’s friends — for whom a place in Britain had been secured, but was now prevented from leaving by the Germans. As he waved goodbye, Stiller did not know that this would be the last time he would see his mother and two teenage sisters. Like much of Ostrava’s once thriving, 10,000-strong Jewish community, they did not survive the Holocaust. Rounded up, they were sent to a ghetto, then to Theresienstadt and finally to their deaths at Treblinka. Stiller, who could speak only three words of English when he arrived in Britain, was initially looked after by a schoolteacher, Philip Austin. Years later, at 18, Fred Austin, as he was now known, secured a place at university. He married a fellow student, Margaret, who came from a Methodist home in Lincolnshire. The couple adopted four children, who were not raised Jewish. Separated from his family as a child and brought up by non-Jewish Britons, the Austin patriarch’s formal connection to Judaism was lost when he arrived in the UK. In later life, though, that bond was re-established. Aryeh Powers, the director of marketing for Lev HaOlam, told Breitbart News that these gift boxes — which include items that are boycotted by anti-Israel entities as part of the BDS movement — reach thousands of people worldwide. “We send thousands of packages to people in multiple countries per month,” he said. These packages are sent to over 40 countries and include the United Staes, Canada, the Philippines, Sweden, the Netherlands, Norway, Germany, Austria, Switzerland, Australia, and Singapore. The group was founded in 2012 by Nati Rom who lives in Samaria or what the international community refers to as part of the West Bank. The international community does not recognize the rights of Israelis to live and flourish in those territories. “What Lev HaOlam does is unique because people will come to Israel and support it as an ideology. But to be involved in Israel in an active way, which is what you are getting with Lev HaOlam is something that is not available to people logistically, because they may live far away,” Powers said. Hawks, vultures and storks circle overhead as Christopher Sveen points at the heap of refuse rotting in the desert heat. "This is the mine of the future," he beams. Would Israeli sensor tech have kept driverless car from killing U.S. woman? A woman was killed last week in the US after the self-driving system of an Uber car failed to detect that she was crossing the street. One Israeli startup’s night vision technology could have prevented that entirely. “BrightWay Vision’s technology would definitely reduce the probability of such accidents... [like the] specific Uber incident,” said chief operating officer Sharon Lifshits. Founded in 2011, BrightWay Vision is developing a night-vision technology to make driving easier and safer – with multiple sliced images and sensors that can allow a driver to pinpoint a pedestrian crossing up to 200m. down the road. What’s driving BrightWay Vision is the disproportionate number of traffic-related fatalities that occur in the dark and during inclement weather – despite there being much less traffic on the roads. This is where the Israeli start-up comes in – offering a multi-functional vision and ranging system. It relies on active gated imaging that can work during all types of visibility and weather conditions, enhancing a driver’s vision with multiple screens. Israel's Hollywood darling, Gal Gadot, landed in Israel on Thursday for the Passover holiday, which begins on Friday, March 30. The "Wonder Woman" star arrived from her home in Los Angeles with her two daughters and at least two bodyguards. Paparazzi who were waiting for Gadot at Ben-Gurion International Airport were disappointed to find that she managed to avoid them by leaving through the airport's VIP exit. But when she reached her home in the Tel Aviv neighborhood of Neveh Tzedek, an Israel Hayom photographer managed to snap a picture of the star, who was briefly locked out of her building due to a malfunction of the intercom. Gadot is expected to be in Israel for 10 days and will celebrate Passover with her family. In Israel, Paddington Bear eats his marmalade on matzah. 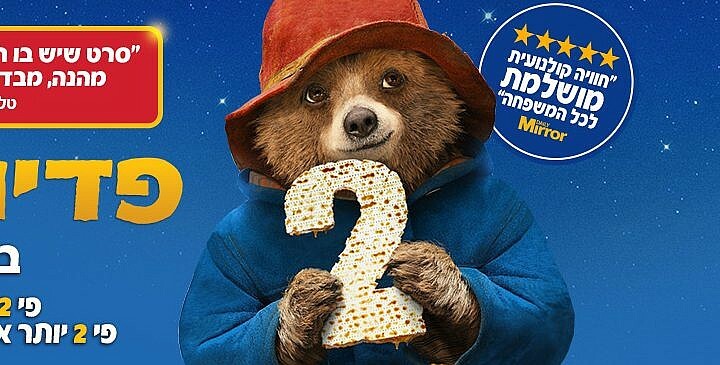 On some posters advertising the new film, “Paddington 2,” the British movie creation is being given a kosher-for-Passover makeover. Elsewhere, Paddington Bear holds his trademark bread and marmalade sandwich shaped as a 2. In Israel, his marmalade is spread on a 2-shaped matzo — the unleavened bread eaten during Passover. A spokeswoman for the Israeli distributor said Thursday the campaign is meant as a nod to the holiday, which starts next week.